Bonding was used to repair chipped enamel. This removable partial was replaced with a new one that has appropriately sized teeth and proper lip support. 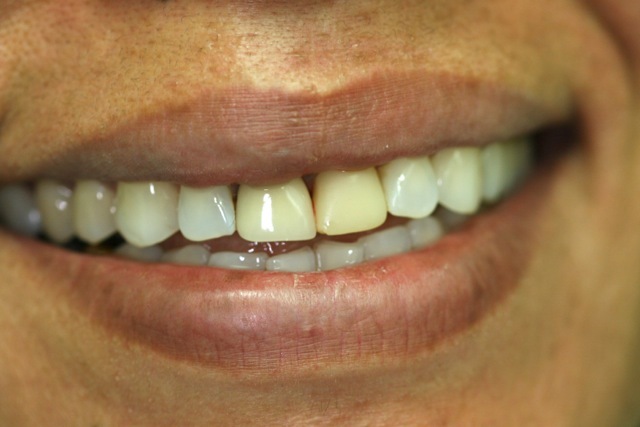 Bonding was used to reshape these teeth and close spaces. No anesthetic was needed because material was added to the existing tooth structure. There was no removal of existing structure. The procedure was done in one two-hour visit. 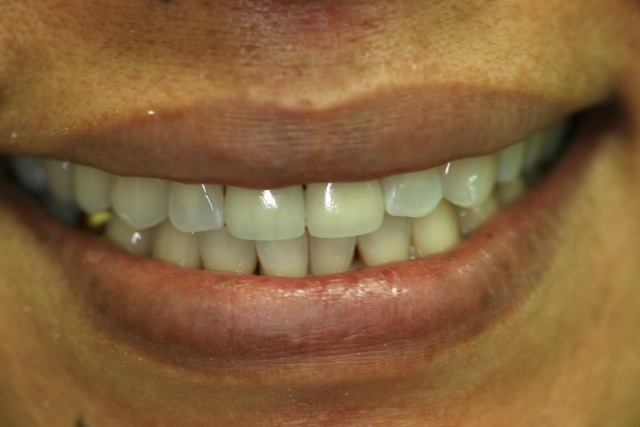 This smile was improved by providing proper lip support and positioning the teeth to reveal a more youthful smile. 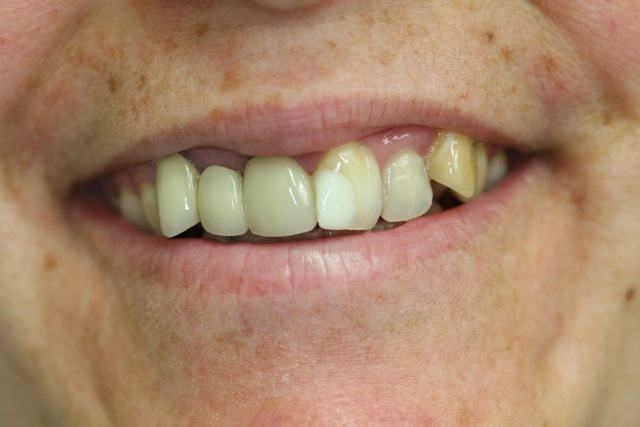 A fixed bridge and crowns were used to improve tooth position and beautify the smile. 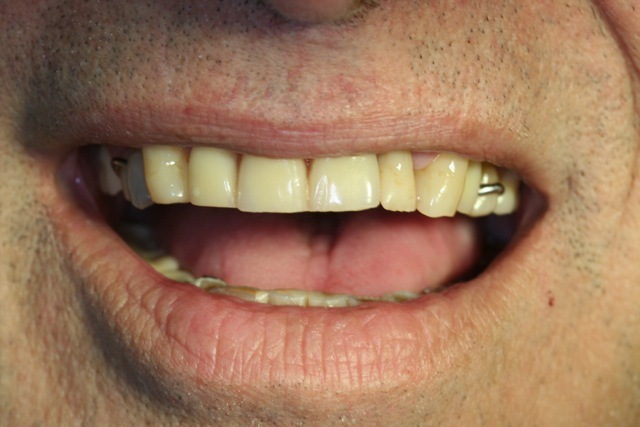 Crowns were used to improve the shape and color of the patient’s previous crowns. 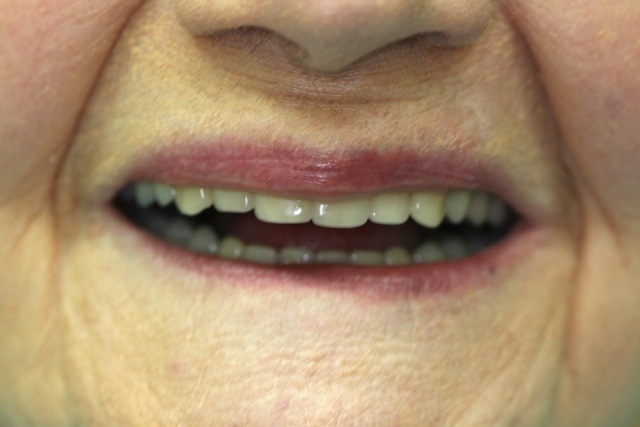 Broken, worn teeth dictated need for replacement of this prosthesis. 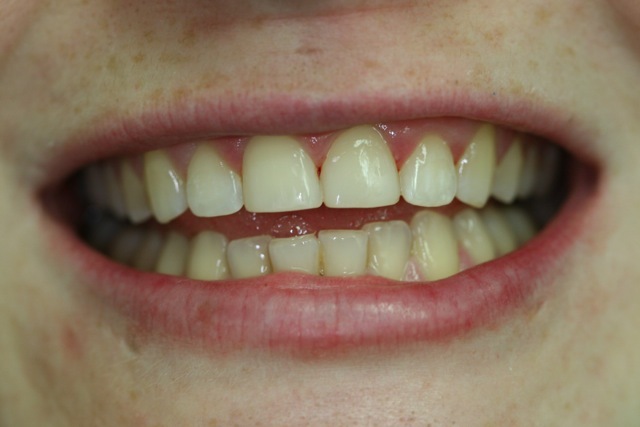 Notice how the change in tooth position results in less gum showing and a more esthetic result.